A day after losing a big fish in the party, the All Progressives Congress (APC) has caught another. Former Minister State for Defence, Musiliu Obaniko has officially decamped from the Peoples Democratic Party. Obanikoro’s defection comes less than 24 hours after former Vice President Atiku Abubakar quit the party. His defection also comes 12 years after joining the PDP. Obanikoro is by far the most successful politician from the state. He was once a former council chairman, commissioner, senator, ambassador and minister. He contested for the governorship seat in 2007 under the PDP but lost to former Governor and now Minister of Works and Power, Babatunde Fashola. 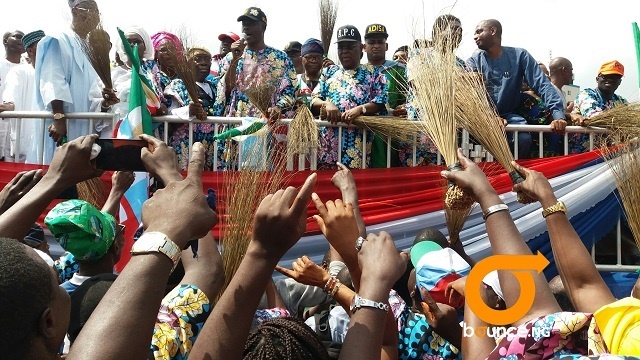 Aside Obanikoro, other PDP chieftains that joined the APC include a former Senior Special Adviser to ex-President Olusegun Obasanjo, Modupe Sasore, Jide Damazio, Kola Balogun, Jide Ladeinde, a former Lagos PDP youth leader; Hon Kamal Olorunoje and Yinka Balogun. 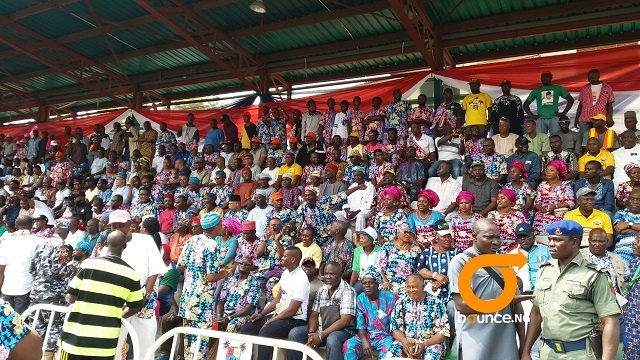 They were received into the APC fold at a grand rally held at Campus Square in Lagos Island on Saturday. Explaining why he dumped the PDP, Obanikoro said the APC is by far a better party and has returned to build it up in Lagos. Obanikoro, in his speech titled, “The Exigency of Time and the Dynamism of Politics,” while tracing his “political voyage,” which he claimed started from associating with those in the progressives camp, said he was proud to have learnt under Bola Tinubu, declaring that the sage, Chief Obafemi Awolowo, was the greatest politician of all time. “My good people of Lagos. I am humbled by the presence of you all. This mammoth crowd is a testimony to the affection you have for me and for our beloved state, Lagos. “To me and to all my associates, it is a return to our natural habitat. This Is my home. Speaking further, Obanikoro maintained that it was important at this stage of his life to return to his original base and be part of the giant strides that had been achieved in Lagos State. While saying that politics was based and premised on ideologies and powered by interests, the former Nigerian Ambassador insisted that he was a progressive and his conviction about leadership was the need to identify with the yearnings of his people. “I am a very proud son of Lagos and I will always do my best to support and fortify any efforts and/or movement be they social, economic or political that is directed at repositioning my home state for more development and prosperity,” he vowed. Obanikoro, who admitted he was already a fulfilled person, equally vowed to impact the people of Lagos State putting into use all the experiences he had garnered. “The question on the lips of many is why is Obanikoro returning to the APC? “It is not a secret that I am among the few in this state and in this country that has been privileged to serve in high places. “Having achieved so much during my period of service, this is the time to impact on my people. I am already fulfilled. According to the Maslow’s hierarchical theory of needs, I have gotten to the peak of the ladder. In other words, self-actualisation. "Today, with thousands of my followers, I rededicate myself to the progress and prosperity of Lagos,” he further pledged. 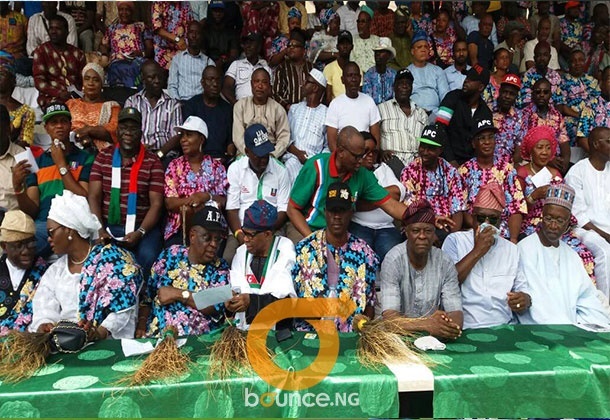 The National leader of the party, Bola Tinubu in his speech at the event expressed the belief that the return of Obanikoro to APC, alongside those who defected with him, would further strengthen the party ahead of the 2019 elections. Tinubu, who was represented by the party’s National Vice Chairman (South-West), Pius Akinyelure, thanked various leaders and members for their contribution to the growth of APC in the state, urging them not to waver. While receiving the defectors, the party’s state Chairman, Henry Ajomale noted that with the defection of Obanikoro and others to the APC, the PDP is completely dead in Lagos. He declared that the APC was now more united in the state and, therefore, resolved to more Lagos forward and also transform Nigeria into a better and stronger country that would be the envy of all nations.